He’s practically shouting at my back as we pedal home from school together, his black and yellow Trail-A-Bike hitched behind my Norco hybrid. This is where he likes to do his daily after-school debriefing, and I’m left fighting to understand him over the wind and the traffic. But today, I hear him loud and clear: his kindergarten teacher is a man. Big news for a not-quite five year-old with two moms, whose other caregivers and authority figures to date – preschool teachers, fine arts instructors, coaches, and babysitters – have all happened to be women. The funny thing is, my son has been in Monsieur L’s class for over a week already. Guess he’s been so busy adjusting to the daunting, new routines of big-kid school that the enormity of “my teacher’s male, just like me” is only just sinking in. And sure enough, as we first entered the classroom together, my son holding hands with both moms, I felt a pang inside, a strange mix of excitement, pride and wrenching grief. I didn’t actually tear up until the next day, when I had to say goodbye to him in the line-up outside, and then stand back as he filed into the school with the rest of his class – his growing feet taking steps away from me already. Right before he was swallowed by the massive door, he turned back and blew me a kiss. My sweet boy. I blinked back my tears and blew one back, loving him with my whole heart and missing him already. Another queer mom had forewarned me that kindergarten hardens our sons, and in that moment, I found myself praying that this wouldn’t happen anytime soon. There’s no formal Pre-K program here in BC, so kindergarten literally marks a child’s entry into the school system, where they’ll spent the next twelve years of their young lives. Amanda and I were all too aware that my son was moving from the safe cocoon of the preschool he’d attended three mornings a week with fourteen other kids, to an all-day program at the neighbourhood French Immersion school with over seven hundred students. “He’s so ready,” his preschool teachers had reassured us in the spring. But like most parents, we wondered and worried about how it was going to go. Can he handle the gruelling, all-day schedule? we asked ourselves. Will he make new friends? Will he listen to the teacher? Will he eat anything for lunch? My son is not yet five, one of the youngest in his cohort – he still struggles with snaps, zippers and shoelaces – yet he’s already as tall as your average six year old. Will people expect too much of him? Will he be able to hold his own on the playground? Will he play nicely with others? Will others play nicely with him? Essentially, we were rehashing the same kinds of concerns we’d had when he’d first started preschool, revamped for this brand new age and stage. At play dates and kids’ birthday parties over the summer, it’s all parents could talk about: “Are you ready for kindergarten?” I, for one, longed for the summer to stretch on forever. My son may have been ready for kindergarten, but I sure wasn’t. As queer parents, there’s always that additional, niggling worry – how will our family be received by the school? And most importantly, how will our gentle, sensitive, trusting boy continue to grow and make his way in a world that doesn’t always smile kindly on queer families? We’d been dismayed to receive a five-page “Welcome to Kindergarten” form from the school over the summer, along with my son’s assignment to Monsieur L’s class. “Name of Mother?” the form asked off the top. “Name of Father?” Amanda took a deep breath, crossed out “Father,” and penned in “Mother.” Here we go, we thought. Welcome to the next twelve years of tirelessly advocating for our right to exist as a family. And while we were excited by the possibility of our son having his first male teacher, we were also left wondering – what kind of a man is Monsieur L? “Let’s just hope he’s the kind of man who’s open to a family headed by lesbian moms,” Amanda noted grimly. On the first day of school, we were greeted at the door of my son’s classroom with a warm “Bonjour!” from a bright-eyed young teacher. So far so good. Moments later, as Monsieur L enthusiastically welcomed his new students and the gathered group of parents, something caught my eye in the corner of the class. I did a double-take – could it really be? A small rainbow flag was sticking out of the pencil holder on Monsieur L’s desk. I nudged Amanda. Not only are queer families welcome here, but oh-my-goddess, he bats for our team! Monsieur L organized short interviews with all the parents that first week. When Amanda and I went in to meet him, one of the first things out of his mouth was an apology for the “Welcome to Kindergarten” form. “Thank you for crossing out ‘Father,’” he said. “That really helped when I raised the issue with our principal at the staff meeting this week.” Amanda and I exchanged a glance – our small action had already made a difference. “These forms have been used by the school for a long time,” he went on, “and they no longer reflect the reality of our student population. I told the principal, ‘I can’t believe this form was distributed to families in MY class, of all classes.’” He went on to say that he does a unit on diversity with his students every year, and gets his male partner to come in and talk to the class. We couldn’t believe our luck. In fact, we feel like we’ve won the lottery. A month and a half in now, our son still skips into to school every morning, eager to see what new and wonderful things Monsieur L has in store. A teacher who can get kids excited and motivated about learning is worth their weight in gold. A strong male role-model for a boy with two moms is a huge bonus. And an openly queer teacher who not only welcomes but champions our family? – what a spoil of riches. I cannot think of a better start to kindergarten, and to our relationship with the school system. This entry was posted in gender, heterosexism, kindergarten, Out in the world, parenting, role models, school, Uncategorized and tagged kindergarten, motherhood, queer parenting, school, school system, teachers. Bookmark the permalink. Sara, thank you for posting this column. It gave me a lot of insight into how parents feel when seeing their children off to the start of a life in school. I also think of how when I was growing up, a teacher like Monsieur L in all likelihood would have been forced to be closeted. 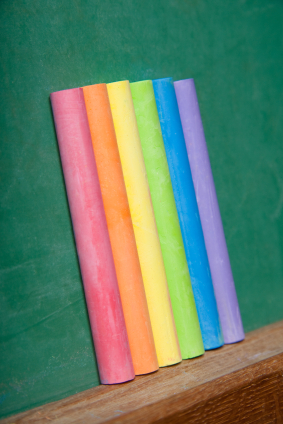 I had marvellous teachers who, because of the culture in general, and even at a school which was considered progressive, would not have felt free to put a rainbow flag in the pencil-holder, much less introduce a partner to the class in a unit on diversity. It’s so good to know there’s been some true progress since then. glad to hear all is going supremely well in the ‘chocolate school’ I’m still a bit disappointed tho that it is PAC not Pack for the PTA equivalent.